Earlier this year, John Vanderslice’s extraordinarily successful Kickstarter campaign raised nearly $80,000 allowing him to self-release his highly praised ninth full-length album, Dagger Beach, and the experimental, track-by-track cover of David Bowie’s Diamond Dogs. 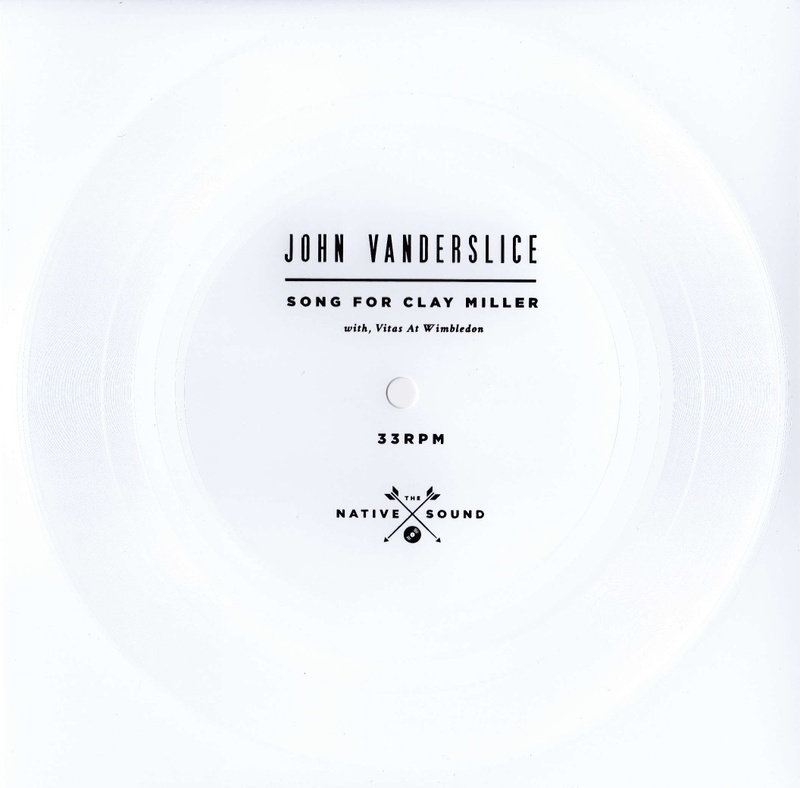 Of the many rewards issued to backers of this project – which included vinyl records, original 1/2” master tapes, and even personalized songs – the most unique was “Song For Clay Miller”, a song written for, and released exclusively to the 1,200 supporters of his campaign. Now, “Song For Clay Miller” along with “Vitas At Wimbledon” (an unreleased outtake from Vanderslice’s 2009 LP Romanian Names) is available as a double a-side single pressed on a limited edition 7-inch flexi disc. 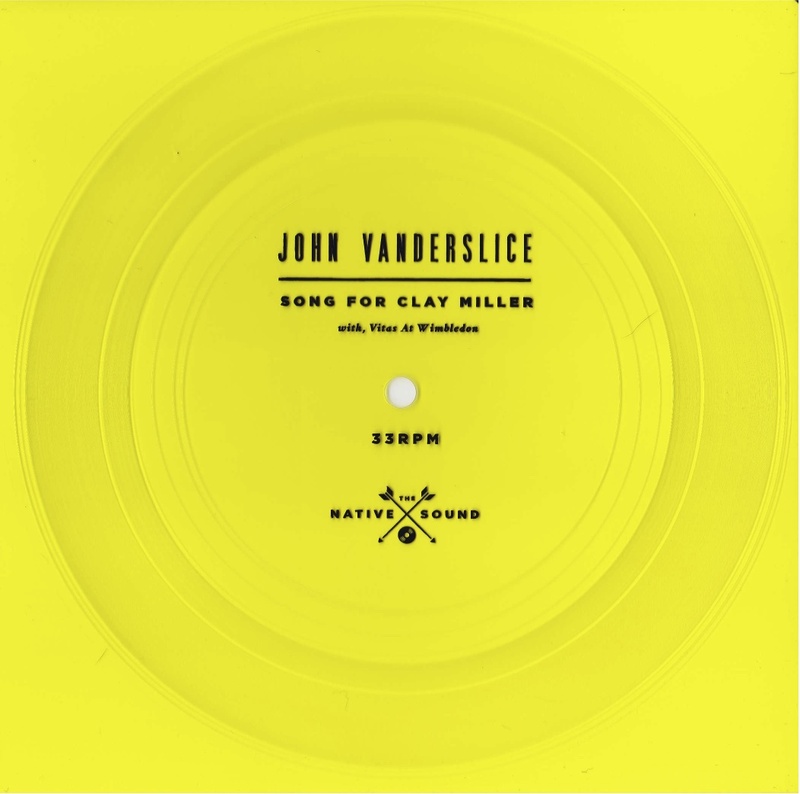 Only 525 copies of Song For Clay Miller with, Vitas At Wimbledon have been pressed on the 7-inch flexi discs, over three unique color variants (white, translucent yellow, translucent green), all housed in full color sleeves and poly bags – half of which already sold-out in an exclusive pre-order to Vanderslice’s original Kickstarter backers. 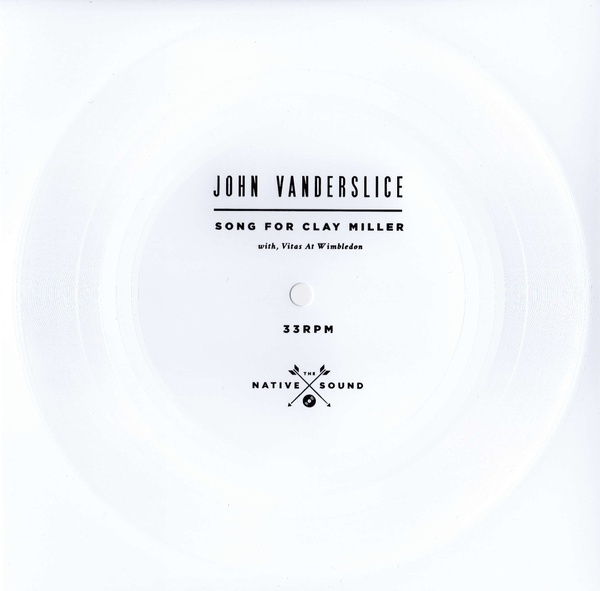 The songs were re-mastered for the physical pressing by TW Walsh (Pedro The Lion, Sufjan Stevens, Benjamin Gibbard, Cold War Kids). 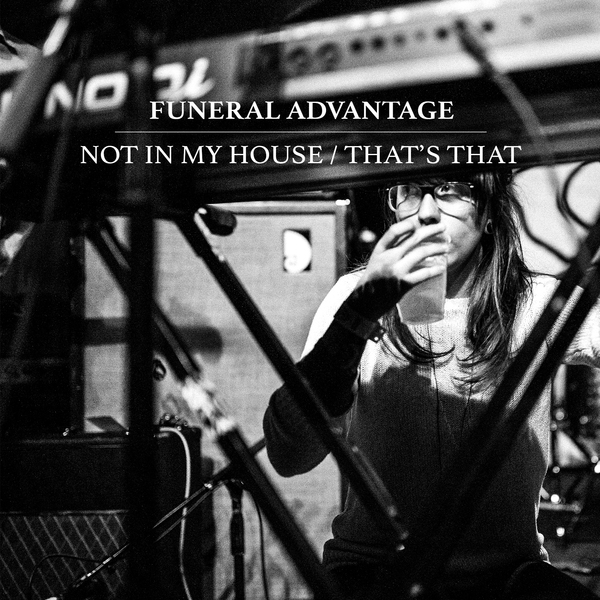 All purchases include an immediate digital download of the release. 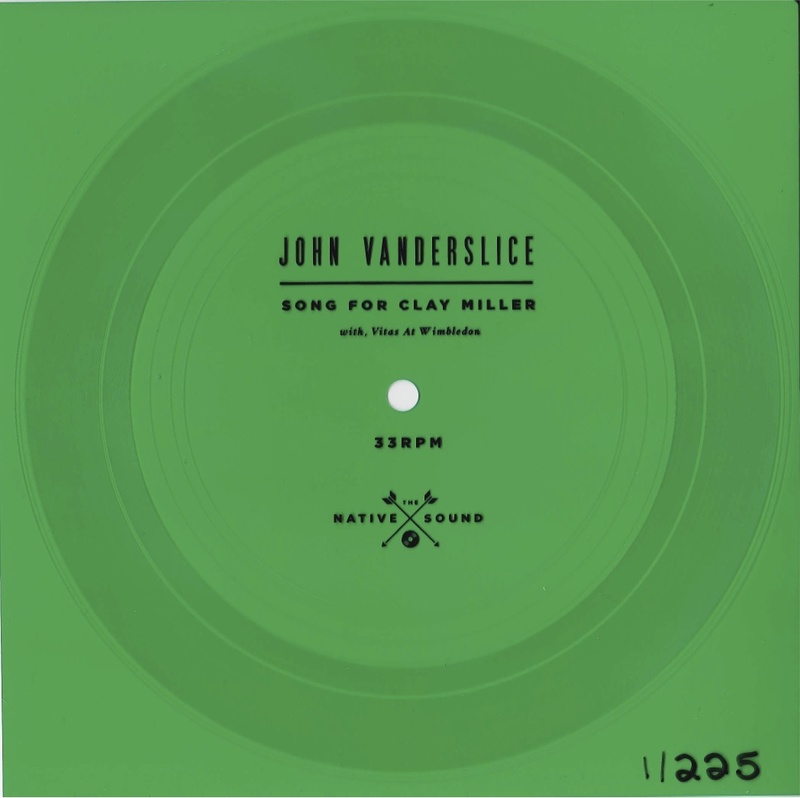 “Song For Clay Miller is a simple and profound pop song ... even under the stratum of swirling effects, whimsical organ, and the hum of mechanical drum beats, Vanderslice’s earnestness and heartfelt vocals manage to resonate the most intensely"
"Vitas At Wimbledon wraps Vanderlsice’s echo-laden vocals around skeletal percussion with a bare minimum of extra instrumentation — this track screams less-is-more and delivers on the promise of both its forebear (Romaian Names) and his more recent records." 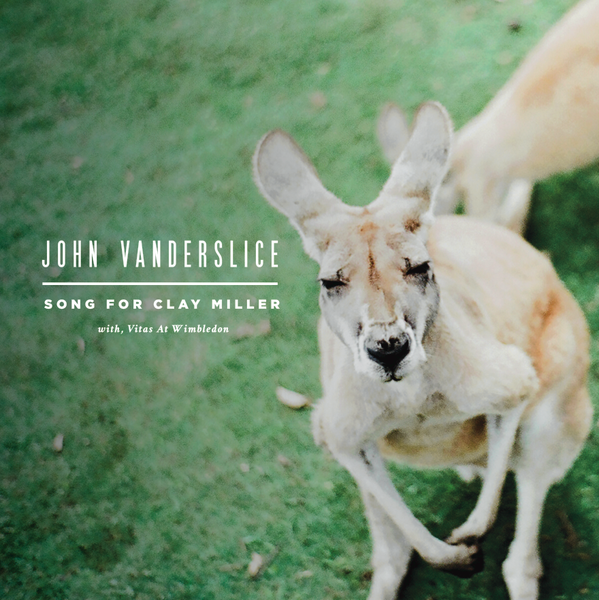 "The single release includes the sputtering, dizzyingly arranged ... and the spare, nearly a cappella “Vitas at Wimbledon” ... Both serve as testaments to Vanderslice’s workhouse ethic and near-boundless inspiration."